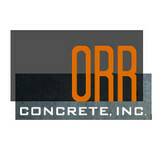 Orr Concrete – your premier concrete specialist in the Summit County, CO community and surrounding areas. With 20 years of experience, we have over 20 employees, each one dedicated to a crew that works in one of 3 areas: foundations/footers, flatwork, or precast countertops. All of our foreman have attended workshops and trainings in their special area of work, to give them an edge of expertise that few concrete companies can offer. Orr Concrete offers the full spectrum of concrete services. Roaring Fork Hardscapes was formed February 2012. Roaring Fork Hardscapes owner Mick Lavy has been working in the concrete Industry since 1996 here in the Roaring Fork Valley. Mick has experience in footings and walls but would consider Flatwork – architectural finishes as his specialty. Mick has over ten years experience managing the Flatwork division of a major concrete company in the Aspen –Snowmass area. Mick Has managed projects from the Aspen to Glenwood Springs area that range in size from as big as The Residences at Little Nell to Residential Remodels on Red Mountain. Mick Lavy plans on being a part of the Roaring Fork Valleys community for at least the next 25 years, doing so by producing quality concrete foundations, and flatwork of all levels, from underlayment to structural to interior and exterior architectural concrete finishes. Summit County's choice for concrete and custom stone work. 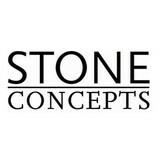 Stone Concepts provides decorative materials, design, fabrication, installation on residential and commercial projects. Since 1980, Stone Concepts has excelled in fabrication & installation. Our showroom is a one stop shop for your tile & granite needs providing decorative tiles marble/granite, and project design assistance. Our company is capable of handling projects of any size with superior, timeless craftsmanship. Our technical and logistical project experience allows us to exceed our clients' expectations by delivering quality fabrication & installation, impeccable service, and dedicated teamwork. The satisfaction of our clients is evident in our long list of loyal customers. For interior or exterior installation of stone veneer, flagstone walkways and patios, concrete unit pavers, and all your masonry needs… Trust the skilled craftsmen at JD Masonry. With more than 15 years of industry experience, we offer full masonry services to the Vail Valley, Denver Metro, and Colorado Mountain Areas. Our skilled team works hard to give you the look you want, using the selected materials of your choice. We pride ourselves on helping you create any masonry project that’s logically feasible, we don’t put limits on your creativity. Have all your masonry needs fulfilled by the professionals of JD Masonry. Contact us today for a free estimate. For many years, Little River Concrete has been providing professional and reliable services to the Salida CO and surrounding areas. Allow our team to provide you with all of your concrete needs. Some of our specialties include: Concrete Installation, Repairs, Concrete Cutting, Curb Building, Grading, Driveway Paving, Sidewalks, Sub-Divisions, Parking Lot Construction, Striping, Retaining Walls, and Coating & Sealing to name a few! For the most part, people hire a stone or concrete contractor for large installations like driveways and walkways, or for home facades and exterior columns. These brick, pavers or stonework installations can add lots of functionality and visual curb appeal to your Colorado home. Pavers come in a wide variety of colors, shapes and sizes, and the right vendor or specialist can help you choose a color and design that complements your existing landscaping. From installing new exterior columns to repairing your chimney, masonry contractors can help you add both visual appeal and value to your property. They’ll know what kind of installation makes the most sense for your Aspen, CO climate and regional style. Looking for something that will develop a patina with time? Or would you rather have your home feel brand new for years to come? Choosing the right kind of stone involves thinking about the future, too. Experienced brick suppliers and stone suppliers can help you find the material that will work for your home now and for years to come. These professionals aren’t limited to exterior work either. Whether you want a split-stone granite wall in the kitchen or need help installing traditional brick masonry on your fireplace facade, you’ll want a professional to get it right. If you’re already working with an architect or designer, he or she may be able to suggest a good Aspen, CO subcontractor to help out. Here are some related professionals and vendors to complement the work of stone, pavers & concrete: Landscape Architects & Landscape Designers, Architects & Building Designers, Garden & Landscape Supplies, Driveways & Paving, Siding & Exteriors. Find stone, paver and concrete professionals on Houzz. 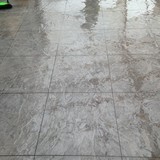 Search the Houzz Professionals section for Aspen, CO stone, paver and concrete professionals. Browse photos and read reviews, and contact a pro if you like their work.